Is Disney taking greed to a whole new level with Star Wars: The Last Jedi? Before exhibitors can begin screening "Star Wars: The Last Jedi" this December, they must first commit to a set of top-secret terms that numerous theater owners say are the most onerous they've ever seen. Disney will receive about 65% of ticket-sales revenue from the film, a new benchmark for a Hollywood studio. Disney is also requiring theaters to show the movie in their largest auditorium for at least four weeks. Zachary Levi is going to be Earth's mightiest mortal. The actor will star in the DC comic book adaptation Shazam!, which follows a boy named Billy Batson, who can transform into an adult superhero by uttering the magic word "Shazam!" Regal Entertainment Group, the second largest chain in the U.S...is partnering with mobile ticketing app maker, Atom Tickets, to test out a "demand-based pricing for film tickets in several markets early next year," according to Variety. The higher demand in a movie -- say "Star Wars: The Last Jedi" or "Justice League," to cite two upcoming titles expected to be hugely successful -- the higher the ticket price. The folks over at Moneypod have actually given this more than some passing thought, as IT continues its theatrical run into Halloween, and have crunched the numbers into this handy-dandy not-so-little infographic, provided here for our readers. Thanks, Moneypod! Woke up this morning to find that Fox posted a NEW MUTANTS trailer in the wee hours of the night. New Star Wars: The Last Jedi Poster and Trailer launches! During Monday Night Football, Disney posted up a brand new trailer for STAR WARS: THE LAST JEDI along with this poster. I think it's a wonderful tribute to Carrie FIsher to feature General Leia front and center on the poster. The poster doesn't give us a lot of new info on the movie, but it does look damn cool. The trailer itself is pretty cool. Not a lot of spoilers, thankfully, but definitely enough teases to get people hyped up for the movie. Poor Luke seems to have lost his fricking mind since we last saw him...wonder if we will ever get the full back story there. The Jerry Bruckheimer franchise seems to have finally capsized. 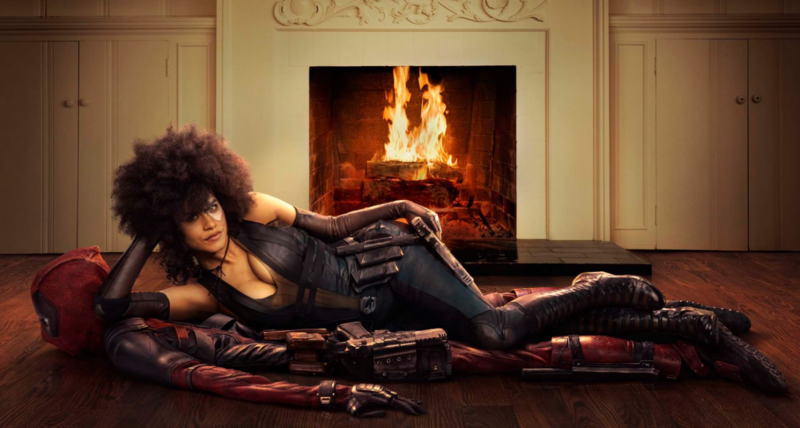 The motion picture, budgeted at $230 million ($20 million less than it's predecessor, ON STRANGER TIDES), grossed $172 million at the box office, compared to the $241 million grossed by the previous film. Those are numbers that don't bode well for there being a fifth film in the franchise--unless it's a rebooting, and honestly who could see Captain Jack Sparrow as anybody but JOHNNY DEPP? The first thing that's a bit off about the film is the title: DEAD MEN TELL NO TALES. Given that the entire run has been filled with ghosts who relate stories of curses, and that the plot of this movie hinges on one Captain Salazar (JAVIER BARDEM) who perished in the Devil's Triangle pursuing a young Jack Sparrow, it would seem that dead men tell quite a few tales at sea. Superman has been the topic of controversy ever since Warner Bros hired Zack Snyder to direct 2013's Man of Steel. So it's no surprise that his perception as a hero is once again the topic of conversation. Portraying a brooding Kryptonian, living on Earth, many feel that this iteration of Superman is too dark. His story, which takes him from being a relatively unknown mystery hero to a highly controversial figure of immense power, is a journey that nobody else had dared to explore. JUSTICE LEAGUE, is considered by some to be the third act in a trilogy of movies which brings Superman's heroism to light. The Rumors are True! Jamie Lee Curtis to return for one more Halloween movie! Thanks to my awesome mother, I was raised on horror movies and Stephen King books! Of all the amazing 80's horror movies, HALLOWEEN was always my favorite. Just something about that mask, that slow lumber, that memorable music... HALLOWEEN has always been a big part of my life in the strangest ways. J.D. Salinger is a name that almost instantly brings out strong reactions in people. Some boo and hiss, proclaiming his most famous work, “The Catcher in the Rye,” to be dangerous in some way and demand that it be banned from their children’s schools. Others smile and wax as poetic as they can muster, recalling their own first encounter with Holden Caulfield and how revelatory the story was in their youth. I belong to an unfortunate though fortunately very tiny segment of the population who has never read the book because I found out the term “catcher” in the title had nothing wto with baseball. No references to Mickey Cochrane, Gabby Hartnett, Ray Schalk, not even Campy or Yogi? Who needs it? I’m an idiot, of course. It’s an American masterpiece. If you watch the new biographical film, REBEL IN THE RYE, you’ll hear it time and time again, just in case you don’t believe it already. Sony continues to reel in top talent for it's adaption of 1985's cult anime, ROBOTECH. Originally conceptualized back in 2007, the project continues to defy all odds as the studio is committed to bringing protoculture to life. Jason Fuchs, who co-wrote WONDER WOMAN along with Zack Snyder and Allan Heinberg, is being brought in to write the screenplay for ROBOTECH. This is a huge move for the studio, as getting the story right can separate ROBOTECh from other, recent movies that feature fighting robots on a grand scale. Maddy just turned 18 and has never ventured outside her environmentally controlled house. Her clothes are serialized and all white. Everyone that enters the house must change shoes and wash their hands before being let in. This is because Maddy has a rare immunodeficiency called SCID. Despite being an avid reader, online book reviewer, and loving to design architecture and drawing, Maddy claims her life is pretty boring. She relies a lot on her extensive imagination. But Maddy’s only interactions are with her mom and her nurse, until the cute boy moves in next door. Olly wears all black and has a bad boy exterior, but despite his appearance is really kind at heart. And from the moment he notices Maddy through the window he tries to meet her. Only trouble is, no one new is allowed to enter the house, because they might get Maddy sick. When I started reading comics, X-Force was my absolute favorite. I was there was the first appearance of Cable, Deadpool, and Domino, and I have been a fan of the characters ever since. I absolutely loved the first DEADPOOL movie, and I was even more hyped up when they teased Cable for the sequel. 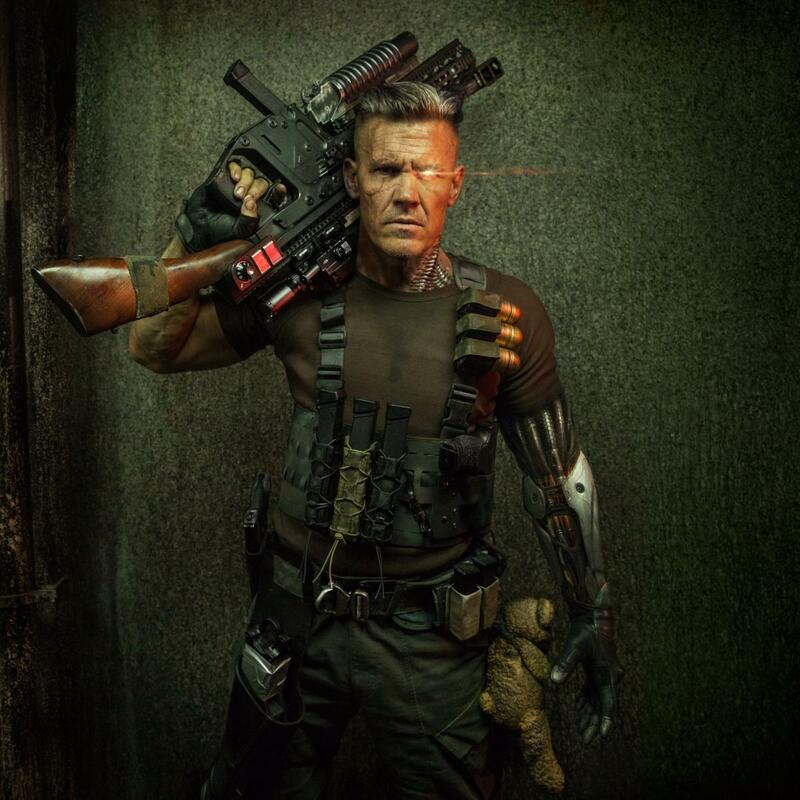 Over the last few days, we've gotten our first look at Cable (played by Josh Brolin) and Domino (played by Zazie Beetz). He destroyed Tokyo almost a dozen times, but Godzilla, King of the Monsters, has finally succumbed to time. Or, more precisely, the actor who marched in the rubber suit across scale models of cities, has passed. Haruo Nakajima was a stuntman in 1954 when he first donned the reptilian hide -- which was not rubber in the beginning, but concrete and over 200 pounds! After the original release of GODZILLA (or GOJIRA if you're a true kaiju purist), Nakajima went on to play the nuclear lizard eleven more times, with the last being the 1972 creature feature, GODZILLA VS. GIGAN. Nakajima studied the walking patterns of bears and elephants to develop the signature gait of Godzilla, and went on to appear in other monster movies. He also played a role in the equally classic SEVEN SAMURAI. We've all been there. Whether it was deep in our childhood, or just last night, we've all been at that place where we've watched a movie before going to bed that just kept us up all night, afraid to go to sleep and praying that the covers were just enough protection to keep us safe. THE DARK TOWER is Hollywood stupidity in maximum overdrive. I just don’t get it. The studios scramble to secure the film rights to beloved stories and then take a massive dump on the fans who naturally expect these adaptations to be extremely faithful to the source material. I’m not so naïve as to think you can perfectly recreate ever scene from every book or comic issue. Let’s face it, Superman’s costume barely works in the comic books and generally looks cheesy on the big screen. At least Warner Bros. tried to get the look right, if nothing else. 20th Century Fox (when are they going to accept that the new millennium isn’t going away any time soon and update their name?) fumbled the last attempt at The FANTASTIC FOUR so badly even small children complained about the plot holes and woeful dialogue despite well over 400 issues of story and history to work with in a format that practically anyone should be able to make into a passable film.